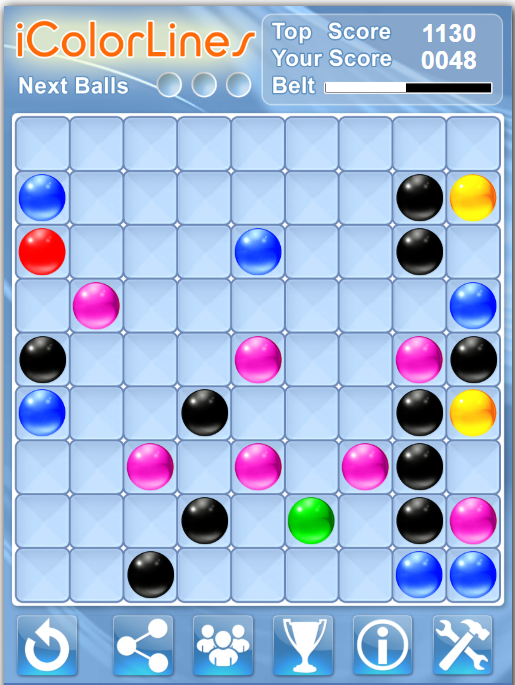 It is true that four is the maximum number of lines that can be “cashed” (removed) — that is the answer to the puzzle. However, for anyone interested, I’d like to make a couple of strategical comments. First, from the point of view of playing well, it matters *which ball is used in a cash. The first (though least notable) example is in Step #3: Rather than cash the R (red) line with the R (red ball) at the bottom, the line should have been cashed with the upper R, so as to help unblock the B (blue) doublet in the far left column. 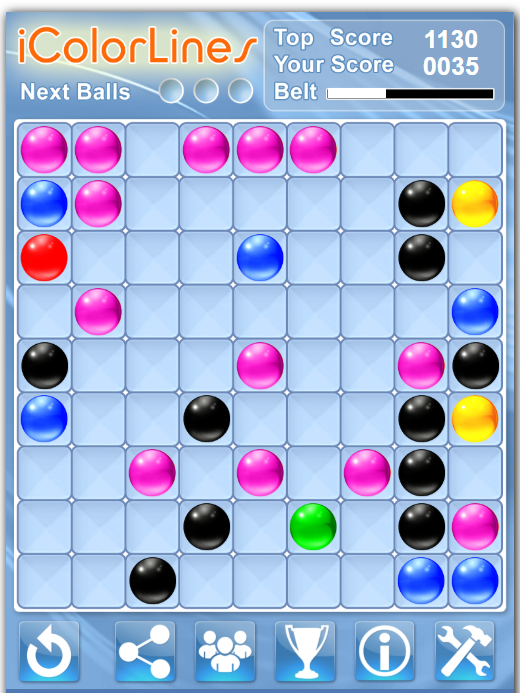 The second example is in Step #4: Rather than cash with the P (pink ball) that is near the upper left, it would have been better to cash with the P that is blocking the E (ebony) line/column. Most importantly, it is a bad mistake to have cashed the P row at all. The right play is to move the aforementioned P (the pink ball blocking the long E line) to the diagonal that connects the upper left corner to the center. In this way, you are poised to take ten balls off the board starting next turn. Five can be cashed on the diagonal, including the use of the loose P on the left, and five more can be cashed on the top row as soon as a new P appears or you can access the P in the lower right (no hurry). I won’t get into the detailed math (unless asked), but in terms of ball mass, the immediate cash of the top P row (as illustrated in step #4) is a 1.5 blunder. 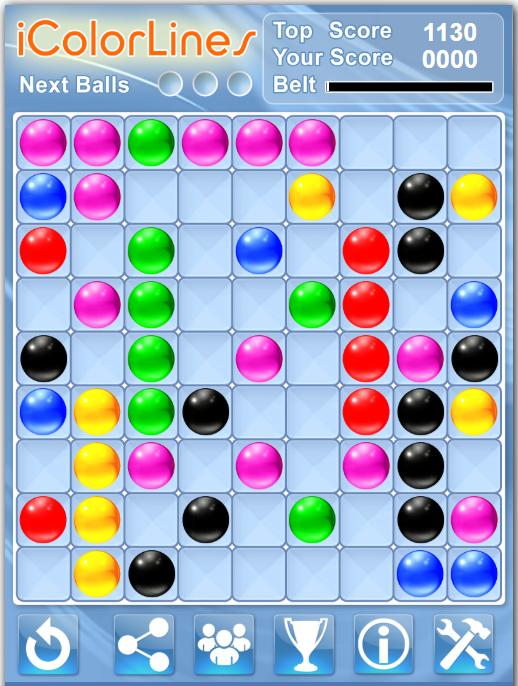 Incidentally, breaking up a triplet, such as in this case moving one of the three P balls in the lower-center row, is a 2.5 blunder. And using one of those P triplet balls to cash the top row — well, that would be a 2.5 + 1.5 = 4.0 blunder.